With a long history of mass-produced housing experiments going back to the 1920s Sears, Roebuck & Co. mail-order homes, and the post–World War II suburban mass- housing experiments, California has a rich legacy of prefab hits—and misses. In recent years, a new generation of builders has arrived on the scene seeking to surpass this legacy by exploiting emerging mass-customization techniques and new technologies to streamline production. But these aren’t your grandparents’ prefab units. The days of rigid space-age designs are long gone, replaced by new designs that instead focus on diverse aesthetics and material flexibility. These new designs tend toward a pervasive adaptability that not only bolsters their widespread appeal but also helps builders meet the onerous local design restrictions that define many California communities. LivingHomes, based in Santa Monica, California, offers a variety of factory-made designs for single- and multifamily units, including models designed by prominent architects and firms such as Yves Béhar, Ray Kappe, and KieranTimberlake. LivingHomes’ designs are built by its spinout firm, Plant Prefab, which focuses on construction and assembly. Founder and CEO Steve Glenn is hoping Plant Prefab will lead the way in creating a national network of home-building factories where “homes are built like airplanes” rather than as one-off works, as is currently the case. Plant Prefab bills itself as the nation’s first sustainably minded home factory, and recently garnered a $6.7 million investment from Amazon, which is looking to expand the market for the company’s Alexa smart home technologies. Seattle-based Blokable, on the other hand, pursues vertically-integrated projects with the help of their in-house development team’s business model, which seeks to treat “housing development as a service.” By controlling planning, design, and production, Blokable is able to offer turnkey development services for local nonprofits and other housing providers at a lower cost. The firm offers standardized building systems along with customizable windows, doors, and finishes in order to meet a variety of price points. Blokable has begun the development process for a 64-unit housing complex in Edmonds, Washington. The project is a partnership between Blokable, the City of Edmonds, and the nonprofit Compass Housing Alliance. At the smaller end of the building scale, Gardena, California–based Cover is working to boost the availability of backyard Accessory Dwelling Units (ADUs) in Los Angeles. Owing to a 2016 state law that legalized these backyard structures, Cover has developed unique zoning analysis software that can give potential clients a view of what type of ADU they can build. Cover offers sleek custom designs and uses its own modular building systems, fabricating units in a new factory in southern L.A. County. While many of these outfits are relatively new, legacy prefab designers are also making strides. Office of Mobile Design (OMD) principal Jennifer Siegal has been working at the intersection of portable architecture and housing for over two decades, pioneering a distinct approach to modular design that is flexible enough to include additions to existing buildings, as well as develop modular commercial structures. Siegal recently partnered with builder Bevyhouse and premium kitchen designer Tortoise to develop her own line of prefab ADU models and is also currently working on a modular design for the Sanderling Waldorf School in Carlsbad, California. If OMD’s continued experiments in non-housing prefab building types are any indication, factory-made structures of all types could soon make their way off the assembly line and to a community near you. Not content with monopolizing the home sharing market, Airbnb will soon start designing their own houses. 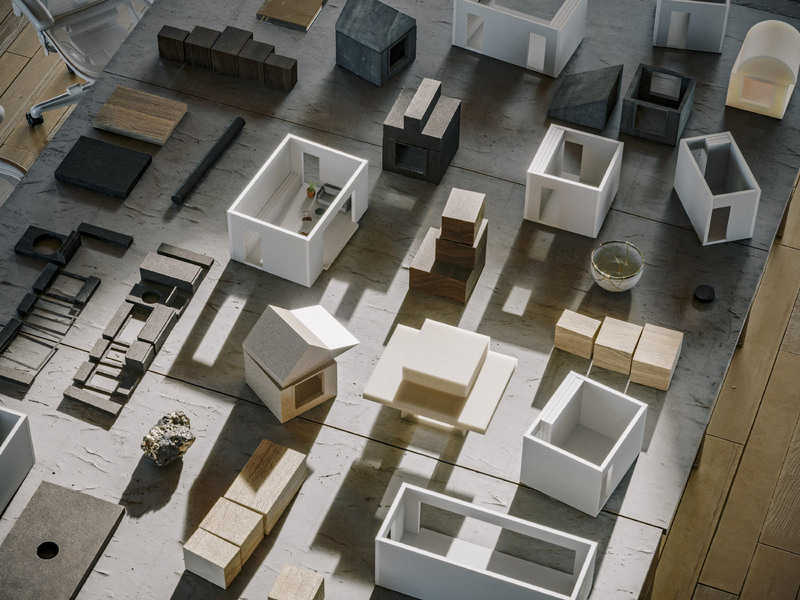 Yesterday, Airbnb co-founder Joe Gebbia announced that the tech company would begin recruiting architects, engineers, industrial designers, roboticists, and more to join their housing prototype initiative Backyard. More than just a design exercise, Airbnb is looking to create sustainable, flexible units to infill a wide variety of unused spaces. Backyard is an initiative of Samara, the product development lab launched by Airbnb in 2016 to study design and urban planning issues (or, as they describe it, “exploring the future of human connection”). Although the company hasn’t released specifics as to the types of units that Backyard will be building, the scope will go beyond accessory dwelling units (ADUs), the typical micro-dwellings slotted into backyards or other under-utilized parcels. Gebbia has indicated that these homes will act as living labs that are able to change and adapt along with their inhabitants, breaking the typical cycle of consumption and disposal. The increased flexibility will also boost the Backyard units’ rental appeal, as they’ll likely be adaptable based on guests’ needs as well. Trying to design one home that can be used forever and changed to meet its users’ needs has been a hot topic lately—take for example the modular Open House revealed earlier this year. The U.S. is currently beginning construction on about 3,300 new homes a day, and with that number only expected to rise, the amount of waste generated is staggering. “We began with a simple question,” wrote Gebbia,“What does a home that is designed and built for sharing actually look and feel like? The answer is not simple at all. Other questions quickly emerged. Can a home respond to the needs of many inhabitants over a long period of time? Can it support and reflect the tremendous diversity of human experience? Can it keep up with the rate at which the world changes? Can we accomplish this without filling landfills with needless waste? It’s a tall order.” Backyard’s homes will likely be at least partially prefabricated and fully integrate smart-home technologies to help meet the company’s sustainability goals. No design details have leaked out yet, but Backyard is hoping to unveil its first wave of prototypes for testing in fall of 2019. 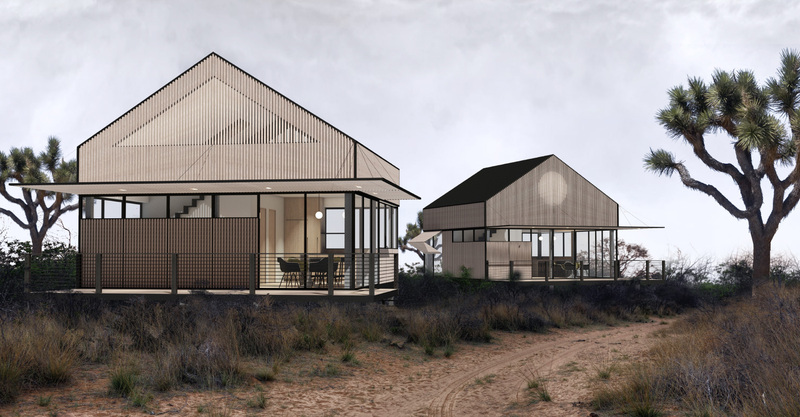 Yves Béhar, the storied tech entrepreneur and founder of San Francisco–based design firm Fuseproject, is set to release a new model for a fully-customizable prefabricated housing unit aimed at alleviating California’s housing crisis. According to designboom, his latest design venture, a collaboration with Los Angeles–based LivingHomes and their Plant Prefab studio, will revolutionize small living for low-density cities. Launching tomorrow, the LivingHomes YB1 model was designed as a response to the state’s recent decision to loosen restrictions on building accessory dwelling units (ADUs). Over the past year, homeowner applications for backyard homes have rapidly increased due to the new law. Béhar and his team have developed a ready-made house that can be bought at a reduced price and built on-site in under two months. Per the firm’s website, YB1 homes will range in size from 250 to 1,250 square feet and are easily customizable according to the client’s goals. Each home is built on a 4-foot grid allowing homeowners to reconfigure structural elements such as the roofline, the size and location of its windows, as well as the layout of the interior and the cladding material. The appliances, HVAC system, and all utilities will come pre-installed. Individual models can also be specified to fit the location and climate where they’re built; clients can select sustainable products and integrate smart home capabilities into their units to save energy. Right now, YB1 costs $280,000 total and takes 6-8 weeks to order, plan, and fully install. Béhar plans to launch a future line of “sub-$100,000 homes” through LivingHomes. Fuseproject describes the project as Behár’s attempt to “think systematically about buildings, rather than as a one-size fits all solution.” LivingHome YB1 is Béhar’s first project involving housing and arguably the largest-in-scale that he’s ever backed. While he's served as a staple of Silicon Valley, has garnered major commissions, and helped pave the way for tech giants today, Béhar’s projects haven’t always been universally well-received recently and his latest products have been faulted for their lack of usefulness. The designer's recent ventures include highly-criticized and controversial products like Edyn, a digital garden sensor, Juicero, a $700 juicing machine, as well as Samsung’s Frame TV, which displays digital art for a hefty price tag. With YB1, Behar stands to make a difference in the housing market. LA-Más’s vibrant, socially conscious architecture sweeps L.A. Consider the accessory dwelling unit (ADU). It is a structure of many names, including secondary dwelling unit, garage apartment, granny flat, backyard cottage, casita, carriage house—the list goes on. The unit has equally as many uses: rentable occupancy, (secret) Airbnb gem, guesthouse, or extended family annex. Over the past decade, as housing costs have soared in cities like Austin, the casita has become a much-studied and proliferated phenomenon. The ADU frenzy is not unique to Austin. The format is popular in other cities like Houston, Texas, or Sydney, Australia, which was, as of the end of 2015, churning out a hundred “Fonzie” flats a week. Portland (1,300 as of 2013) and Seattle (1,396 as of 2015) both established city pathways for creating secondary units. Across the border in Vancouver, 35 percent of all single-family residences have one. 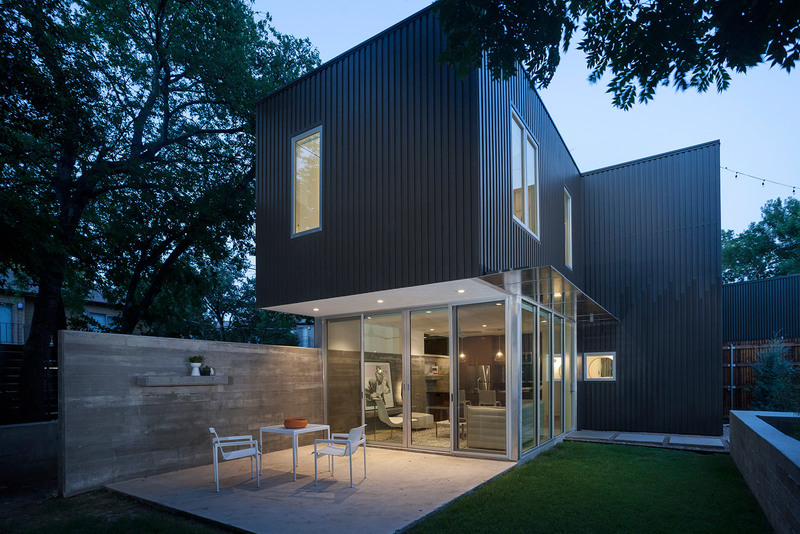 The back house represents an important option for low-impact densification, as it increases lot inhabitation and generates rental income but, due to its street invisibility, leaves the character of a neighborhood intact. Austin’s ADU construction is widespread: 750 permits for “secondary apartments” have been issued since 2006, with the annual number of permits for these auxiliary units surpassing those for duplexes since 2014. Still, the structures are limited to multifamily and some single-family zonings, including SF-3, which carries a minimum lot size of 5,750 square feet, a maximum building coverage of 40 percent, and usually requires expensive infrastructural items like a separate water meter. Here, house prices and rental rates continue to climb while income remains stagnant. The ADU, even in limited deployment, becomes useful in gentrifying neighborhoods, as its rental income balances out rising property taxes for families on low or fixed incomes. In a June editorial, city council member for East Austin’s District 3, Sabino “Pio” Renteria, said that he and his wife were only able to remain in their home because they built a secondary unit to supplement their income. These units, when rented at market rates, are largely occupied by younger individuals or couples who can afford to trade space and dollars for location. This doesn’t explicitly offer housing for lower-income renters, but it reduces market competition for cheaper units, allowing those units to be occupied by those who need them most. And it creates a revenue stream for those who are struggling to keep their homes, critical in areas like East Austin, where neighborhoods have lost 34 percent of their homeowners since 2002. Granny flats occupy the lighter end of the “missing middle” housing density spectrum that is painfully absent in Austin. The ADU joins a larger set of housing solutions in development to keep Austin affordable. In early June, the city unveiled a draft of its first-ever housing plan. The Austin Strategic Housing Plan, available online, offers progressive solutions to make up the current deficit of affordable units by producing 35,000 units for those at 80 percent median family income—$62,250 for a family of four in Travis County this year—and 40,000 market-rate units for a total of 75,000 units in the next decade. The plan provides an arsenal of tactics: Tax Increment Financing (TIF), the expansion of homestead preservation districts, expanded density bonus programs, a strike fund that would be used to purchase and maintain existing multifamily complexes, expanded use of community land trusts (CLTs), renovation of the S.M.A.R.T. Housing program, and many other bold ideas. Even without policies available to other cities—Texas is the now only state where inclusionary zoning is illegal—these tools forecast admirable gains. City of Austin senior planner Jonathan Tomko said that there is “two-pronged” reform at work, on both the policy and code fronts, and that maximum progress happens when the two work together in tight coordination. The policy battle is well underway, as is CodeNEXT, the effort to fully rewrite Austin’s Land Development Code. CodeNEXT is led by its main consultant, Opticos Design, a Berkeley-based outfit focused on walkable urban living and the “missing middle” housing movement. The city now estimates draft code to be delivered for public review in January 2017, and has released two of four prescription papers that preview strategies. The Household Affordability document, delivered in April, lays out the changes that are coming soon. Some believe that the promised results of the CodeNEXT rewrite may not be enough to reverse Austin’s economic segregation, now rated at the worst in the nation. John Henneberger, winner of a 2014 MacArthur Genius grant and co-director of the Texas Housers nonprofit, wrote in a May 2016 blog post that “Austin must promote, as a public policy, economic and racial diversity across all neighborhoods and should reject the ghettoization of affordable housing into city-designated districts,” referencing the strategy to concentrate investment at transit-rich nodes. Speaking to the AIA Austin audience in June, Henneberger emphasized the rights of low-income citizens and argued for reform at the neighborhood level, including leveraging solutions like community development corporations (CDCs) to create affordable housing. Such activism remains important work as inequitable policies persist—evidenced by a 2015 Texas bill that allows landlords to discriminate against renters who use housing vouchers. Contemporary studies show that “laws aimed at things like ‘maintaining neighborhood character’ or limiting how many unrelated people can live together in the same house contribute to racial segregation and deeper class disparities,” according to The New York Times. Affordability is increasingly the central topic at city council: An additional fair housing initiative was approved in June, providing yet another referendum in support of consequential action.